A conversation with Kees Christiaanse in his capacity as curator of the fourth International Architecture Biennale Rotterdam. A conversation about why architects can become good urban designers, but urban designers not good architects. And about Open Cities, the main theme of the IABR. 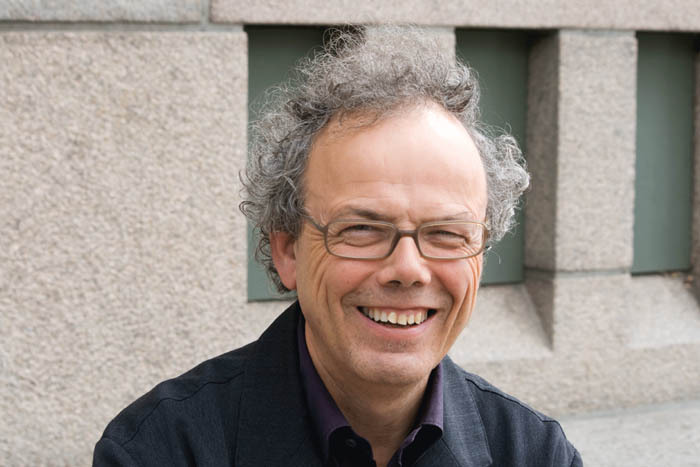 In addition to his many functions, including architect and urban designer at KCAP and professor of architecture and urban design at the ETH in Zürich, Kees Christiaanse is curator of the IABR, which starts on September 24. How do you become curator of the IABR? Did you apply or were you asked? (Kees Christiaanse) I was asked. And I accepted the invitation because this is an excellent opportunity to introduce a wide audience to my field of research: urban research. This is the study of urban structures that can induce positive incentives and openness for development. In consultation with the IABR management, Open City was chosen as theme. Just as in earlier Biennales, the event focuses on design research at a city scale and will not be about star architects. Would it not be better to change the name from IABR to IUBR? No, thats not necessary. After all, the qualitative debate about urban design is conducted from within the spatial discipline, and mainly from architecture. Whats more, the best urban designs are usually made by architects and not by urban designers. Its difficult to be a good urban designer if youve no feeling for materials or human scale, if youve never worked in a tactile manner. Thats why an architect can become a good urban designer, but an urban designer never a good architect. The basic assumption that urban design and architecture are complementary enables us in the Biennale to cover the full spectrum from regional design or bigger to the transition between public and private  from chair to city, to quote Bakema. Each of the different studies being carried out within the framework of the IABR has its own scale level. In Jakarta, for example, a study called Servant right of space is in progress. Servants in Indonesia usually live in social and spatially inferior accommodation close to their work. The study is examining what influence the living conditions of servants have on the neighbourhood, what it means for the network, and the spatial conditions that the servants have to cope with. At the same time, another group in the Middle East is studying the effects of extreme gatedness at the scale of the agglomeration. The central theme of this Biennale is Open City. What do you mean by that? I see the Biennale in essence as a brainstorm session in which many questions are posed. They concern the themes of Community, Collective, Refuge, Squat, Reciprocity and The Make-able Society. To our sub-curators, who are scattered across the whole world, we pose questions. The sub-curators do something with them, but what exactly they do I cannot fully control. We will, in the end, combine all those studies to form a coherent entity, and we will call it Open City: Designing Coexistence. In the definition we passed to the sub-curators as a sort of thought model, an Open City is a place where different social groups co-exist, cultural diversity is present, differences in scale are visible, and urban innovation and probably economic development are taking place. When all these factors come together, it can have a positive effect. We can then speak of an Open City. Open City is not a city; it is a condition of a part of the city. The word condition indicates that the situation is finite, that the situation changes owing to other influences. And Im only talking about parts of the city because its an illusion to think that the whole city can be designed as an Open City, or that this can be engineered. Usually for political reasons, every city contains areas that are potentially open, and other areas that will never be open. Can you give a few examples of Open Cities? Prenzlauer Berg in Berlin five years after the Wall fell. The district that once belonged to East Berlin turned out to be an ideal breeding ground for creativity: new forms of enterprises emerged, young people (students, artists) moved into Prenzlauer Berg alongside the original inhabitants and a large Vietnamese community. The result was a creative and positivistic melting pot. But at a certain moment, and you see this happening everywhere, a process of gentrification set in. What then happens is the ‘self-destruction of diversity’, as Jane Jacobs called it. Land values rise because of the success of the district, and that attracts just certain particular functions. The Open City condition is therefore finite. 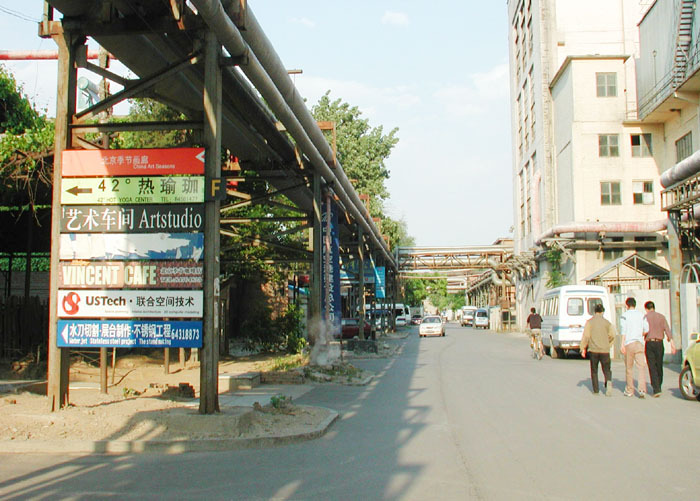 Another type of Open City is the 798 artist complex in Beijing. About a decade ago the first artists moved into vacant buildings in this factory complex that was due for demolition. Studios and galleries established themselves next to small factories that were still operating. The situation had a catalysing effect on urban life, especially when the Beijing city authorities recognised the cultural and, more importantly, economic value in terms of tourism. Should we aim to create an Open City? Certainly, the Open City reflects an open society in which people are given opportunities and tolerance reigns. That is a form of society we should all aspire to and so, as far as the city is concerned, it should be our goal. Even though the Open City disappears because of its success? Thats right, but it manifests itself again in other places. And its possible to channel and stabilise gentrification to a degree with certain elements. There are also different conditions of openness. For example, take the Chinatowns of London, Hong Kong and Jakarta. The relations between these three ‘city districts’ are probably more similar to the Open City condition than the relations of the individual Chinatowns to the other areas of the cities of which they are a part. What are the spatial conditions for an Open City? Important aspects are the size of single-function areas in the city and the agglomeration, and the extent to which they ‘communicate’ with one another. The areas where such clusters encounter one another can result in urbanity. Public transport and the car still play a more important role in whether or not there is an open condition. After all, the car is one of the biggest causes of spatial segregation, though pedestrianisation makes city centres as dull as graveyards. The Open City condition consists of innumerable contradictions, which makes it difficult to define exactly which spatial qualities have to be created before you can speak of an Open City. During our preparations, for example, we discovered that extreme forms of gatedness can even attract activities. In various places around the world we see that slums emerge right next to big walled communities. These usually develop on sites that nobody thought would be suitable for buildings  pieces of land enclosed by road infrastructure. The slum residents supply services to the people living behind the wall. Complementary economic and social relations are the result. Sometimes the residual space is upgraded to an A location and the slum population has to move again. What can designers learn from processes like this? They can learn about the relation between built development and open space, and traffic infrastructure. This has to be dealt with extremely carefully; much more can often be achieved than originally thought possible. Can the designer design anything for an Open City? It is another way of designing; the interventions are very much made to measure. The potential for the Open City condition is there already; it can only work if some activity is already simmering. But nothing happens with that simmering activity if it isnt helped formally, with expertise. In this way the formal and the informal become reconciled in very radical areas where it wasnt thought possible previously. As architects and urban designers we must, of course, be mindful of thinking we can improve the world, that we can improve the average living conditions of the slum population. But what we can do is create conditions in which micro-economic activities can flourish. One of the most important observations Ive made recently is that urban designers generally have to work in very negative conditions in terms of research terrain and design commissions. We have to do everything possible to break open fixed relations. Work usually starts from a negative condition into which small rays of hope filter. You can then seize them and exploit them. I think you can then make a big difference. The NAi will be the focal point of the IABR activities. What can visitors expect? Therell be a new bridge across the pond leading directly to the main exhibition space. That space will be a reincarnation of Frank van Klingerens Meerpaal in Dronten. Itll be a big forum containing an auditorium, café, VPRO broadcasting studio, cinema, a library containing material about the Open City, and much more. Around the forum  in the foyer, the lobby and on the floors above the main space  will be the exhibitions on the six main themes. The whole NAi will be filled. Most debates and lectures will take place in the first week after the opening, though events are planned throughout the whole period. Itll be just like an Open City: people will have to navigate through the IABR and discover the connections. The fourth International Architecture Biennale Rotterdam takes place from September 24 through January 10, 2010. Check the IABR website for the full programme. In addition to the main exhibition at the NAi there will be the exhibition Parallel Cases//IABR@RDM on the RDM Campus in Rotterdam, organised by the Rotterdam Academy of Architecture and the Institute for Housing and Urban Development Strategies at the Erasmus University Rotterdam in collaboration with the IABR. In Amsterdam the Physical Planning Department of the city organises in collaboration with the IABR the exhibition Free State of Amsterdam. Nine designers were asked to design an Open City. And the VPRO broadcaster together with the IABR are organising a big ‘cross-media’ project on radio, television and internet entitled Urban Century.